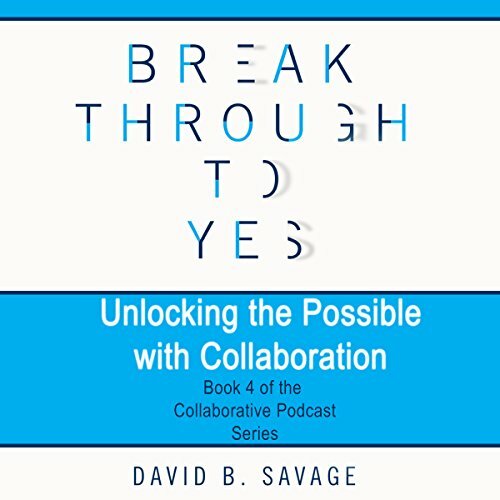 "A book that thoroughly examines the power of successful collaborations. 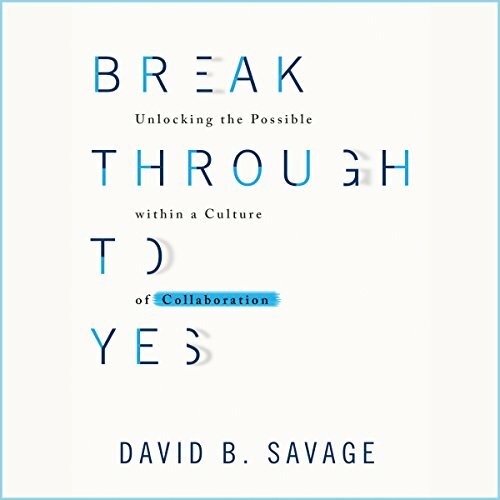 Canadian collaboration expert Savage (a contributor to Ready, Aim, Excel, 2012) offers a work that couldn't be more timely. 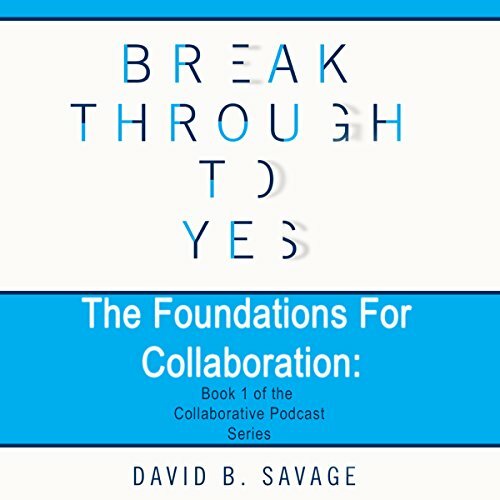 While it addresses organizational collaboration, this book could be interpreted more broadly as a treatise on building a cooperative culture within families, groups, businesses, and government. In a collection of concise chapters, Savage leads the reader through a discussion of the meaning and value of collaboration. The author supplements his own experiences over more than four decades with extensive quotes from experts and results from surveys that he conducted; in effect, he collaborated far and wide to garner input for this volume..."
We are at a time in human history where we are educated and connected and have resources like never before at our disposal. Conflict, misunderstanding, misalignment of organizations and their leadership, lost productivity, wasted time and wasted resources resulting from limiting perspectives, distraction, and hard-line positions are damaging our today and our future. Stop wasting time, resources, people and reputation on poorly managed projects. Go from challenge and complexity to innovation and success with collaboration. I serve current and future leaders who choose to turn their backs on fear, isolation, and barriers and seek to find innovation and evolution through working together better. "We" are far more powerful than "me." Through my books, workshops, podcasts, and coaching, I want us to create a better-shared future. I dream ideas, then awake at 5:00 a.m. to make coffee and write those ideas. I write, write, write...to get the flow of concepts and stories captured. Only then do I go back an edit. Today, we have many ways of adding our insights and connecting to brilliant hearts and minds around the world. So, in addition to writing, I create podcasts with leaders around the world. And I record brief and longer videos. I speak to groups large and small. And from those talks those videos and those podcast interviews, fresh ideas and stories arise. My process is circular. How did you come to do what you're doing today? Getting the right people, in the right places, with the right systems and right resources to collaborate, innovate and figure out challenges together is the best way. And, if that is not possible, then guiding the parties to the right people, principles, processes, and systems to ensure everyone's interests are heard and considered is my goal. I bring 42+ years' expertise, experience, and leadership in oil and gas, renewable energy, health care, entrepreneurship, stakeholder engagement, and conflict management. Over a ten-year period, I collaborated to develop 5 companies and 4 not-for-profits. Since 2007, I have focused on build capacity, innovation, and accountability in people and in and between organizations and communities. I work with leaders and organizations to advance their success through collaboration, negotiation, conflict resolution, and business development. Arise early, write for two hours, breakfast, emails, news, serve to coach and consulting clients, assist as a volunteer for Rotary, Heart and Stroke Foundation or TransCanada Trail, then get outside in the mountains to hike, bike, ski, paddle. Then, prepare a simple meal, read or listen to books (three every month), and get to bed. I love when several eyes light up in the room of a presentation. And when people call to talk about collaboration, negotiation, and their journey. I love mountain time. Any day I have outside in the mountains energizes me. I am in love with people who are making a difference or who dream of making a difference. Every one of us has a great story inside and all we must do is ask great and sincere questions. I have many people and books I love. I do not have heroes. I thank setting people up as heroes set them up separate from the rest of humanity. I put out my top ten book list at the end of every year. Most of all, the books and authors I love are the ones that are part of our NFAA or should be. Through writing these past seven years, I have met so many great writers. We have helped one another in our writing and publishing. These include Teresa De Grosbois (Mass Influence), Joanne Sonenshine (Change Seekers), Tony Bridwell (The Newsmaker), Dee Ann Turner (It's My Pleasure), Dan Pontefract (Open to Think) and Dave Butler (Full Curl). While a huge portion of current book sales go to the rock stars, we are all future rock stars. I present differently to different groups. My son calls me the white-collar hippy. I am skilled at bringing very diverse perspectives together to listen to one another, innovate, and create great outcomes. And I am an outsider. To my business community, I am an environmentalist. To the environmentalists, I am a business person... to many, I confuse them because I embrace all and seek to create shared value rather than judgment and exclusion. And when I get drained, I go backpacking or backcountry skiing to rebuild my spirit. I am working hard to publish Better by Design: A Handbook for Rotary Collaborations. This book combines my processes, assessments, and collaborative innovation to the great purpose and objectives of Rotary. I will publish this new handbook in advance of my session at the Rotary International Convention in June 2018. I do all the work and pay all the costs, and donate 50% of the net revenue to Rotary to do their great work in the world. Books, videos, podcasts, and multimedia are our true legacy for our grandchildren and their grandchildren. We must use our voices to create a better future.